DPA's d:facto II Vocal Microphones have been proving their flexibility and giving great performances on tour with MKS, the original Sugababes line-up. The mics have also been at work in the prestigious setting of the world-famous Ronnie Scott's Jazz Club in London. 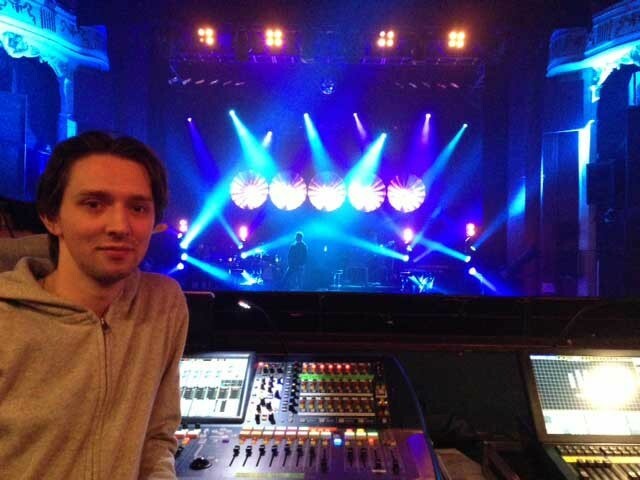 Charlie Dale, in-house engineer at Ronnie Scott's and Front of House engineer for the band MKS and US rapper Angel Haze, is using DPA d:facto II Vocal Microphones across all these very different setups. It was at Ronnie Scott's that Dale first came across the microphones. DPA's UK distributor Sound Network lent the club a unit to try out and Dale was immediately impressed. "They instantly became my mic of choice for lead vocals, surpassing two big brands I had been using previously," he says. "'The d:facto's mostly flat frequency response until its soft boost at 10 kHz gave me the ability to sculpt a very true representation of the performer's voice with clear highs so that I don't have to fight against feedback to pull out, and with all the warm tone one would expect from many jazz vocals." Dale decided that for the same reasons he wanted to use it on his pop gigs, again allowing him to easily create vocal sounds on a par with the studio-quality vocals of the artists' records. And it's not just the engineers who delight in the sound of the d:facto II Vocal Microphones. "With performers, the clarity of the mic is often commented on," Dale adds. "It allows a vocalist to hear the nuances of their vocal and gives them more control, even through loud stage wedges." Dale has had the opportunity to work with many big-name microphone brands in his career but, after hearing the d:facto, he believes that none of them offer the clarity and tone he wants from a live vocal. "With MKS, all three of the girls have very different and distinct-sounding voices, and the d:facto II Vocal Microphone handled all of them with ease," he says. Dale's work with rapper Angel Haze could hardly be more different. "She rarely sings on a gig," Dale explains. "Instead, she spends most of the time rapping hard and fast into the capsule at close proximity, often cupping the mic as many rap artists do. But the d:facto II handles all this well, making it much easier for me to pick up every syllable she spits out without loss of tonal quality on her vocal." Dale's criteria for an excellent microphone are, he says, clarity, tone, excellent feedback rejection and low off-axis noise. To date, artists who Dale has used DPA's d:facto with have all been very positive about the microphone, as have other engineers. "Having a great vocal sound is often the hardest part of the mix, especially on noisy stages, and the d:facto helps on that front by offering a very clear and clean initial signal," he says. "Its linear off-axis response means that what little bleed there is from wedges and back line is very clear, un-distorted and, most importantly, low-level, allowing me to get a great vocal sound every time, no matter how big or small the room, what the musical style is and how loud the band are. Studio-quality vocal tone on every gig - how could I say no to that?"